Finding adventure in the every day. I wanted to start a spot to review some of the things I've enjoyed in the past month because sometimes time just zips by and it's good to catch up. Due to some aforementioned back issues, I spent a lot more of the past month relatively stationary, hence.....Netflix. I tried to mix it up with mysteries, lighthearted fair and some documentaries. Of course, first up was Stranger Things (Yes, I know, I'm late to the party) which was just as good as everyone said it would be. It's good to finally understand all the Eggo references and #JusticeForBarb. Inspired by a recent episode of All Time Favorite Podcast I started Parks and Recreation have been consistently delighted by it. I'm nearing the end and though I will be sad when it's over, it will undoubtably live on in my life via Twitter GIF's. Lastly, I've been delving into Unlikely Animal Friends, which is just what it sounds like. Everything from surfing goats to therapy chickens, it will fill you with happy feels. Go watch it. One of my favorite Christmas traditions we have is going to The Cheese Shop across from the Fashion Mall at Keystone. Being from Wisconsin, cheese is very important to me and they have a wonderful selection along with meats, wine, coffee, crackers and jams. Their employees are always incredibly helpful and let you sample everything before you buy it, which is awesome. Every year we leave with a variety of cheeses from around the world, interesting jams big smiles. Because triple cream soft-ripened cheese and lingonberries are an essential part of life, never forget that. Being from a small town, there is something immensely novel to me about city downtowns at Christmas. Between the plethora of Christmas films that take place in larger cities and visiting Minneapolis many times as a kid, seeing all the lights and decorations just makes me happy. 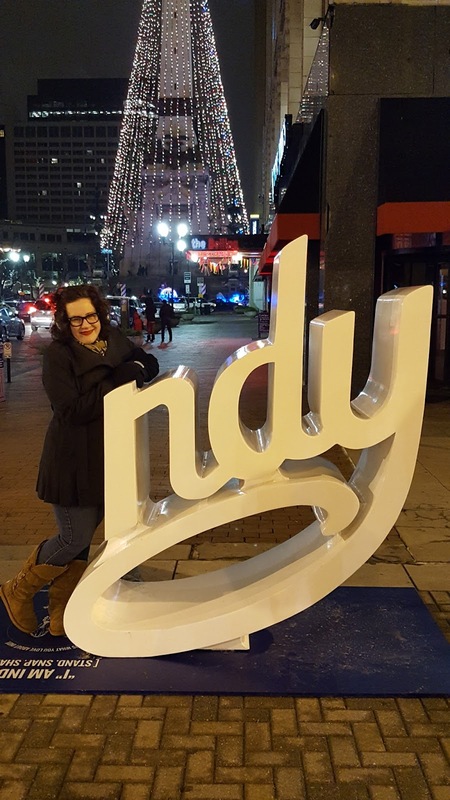 Visiting the Circle of Lights in downtown Indianapolis is definitely one of the highlights of my holiday season. Carriage rides, people with their families taking pictures, the monument transformed into a giant "tree" being guarded by giant toy soldiers and peppermint sticks...it just feels magical and always brings me joy. This year I remembered to wear warm boots, so it was even better! 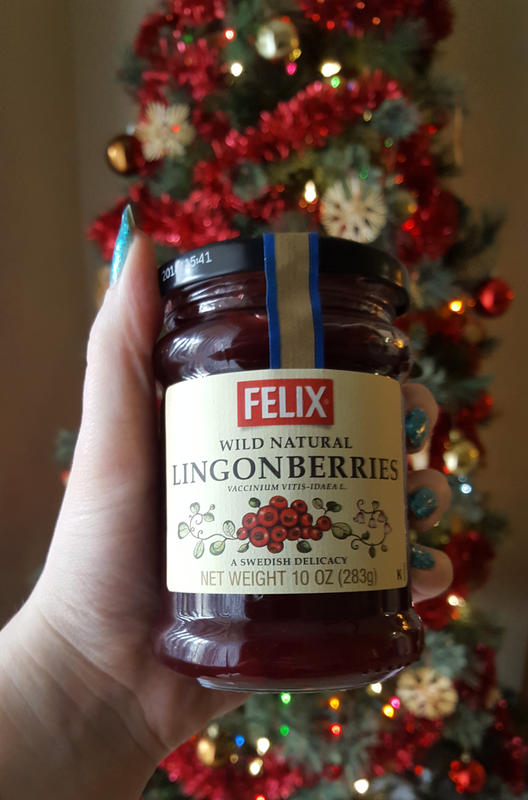 I hope you had a wonderful December, I'd love to hear what you have been enjoying lately! For (near) daily updates and cat pictures, follow me on Instagram and Twitter. 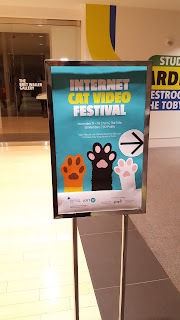 Due to some poorly timed back problems, I wasn't able to post this immediately following the Internet Cat Video Festival, but it was such a delight I still wanted to talk about it. 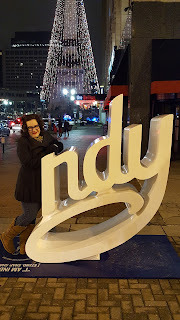 This is the first year I have attended, however not the first year Indianapolis has hosted the festival. What is the Internet Cat Video Festival? Exactly what you would think it is, and so much more. It is a highly curated program of internet cat videos, watched in a theater with other cat enthusiasts, but it also brings awareness to local shelters and cats in need of homes. In Indianapolis it is hosted by the IMA and shown in their lovely Toby theater, but it is a touring festival with many stops. Being a huge fan of cats, I had to check it out. 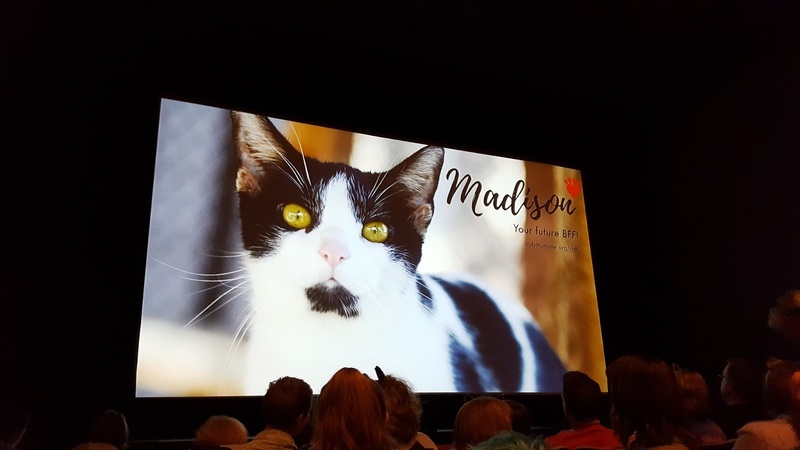 Prior to the start of the show, pictures and tiny bios of local adoptable cats were featured and workers from the Humane Society were on hand to answer questions and help with the adoption process. Cat related merchandise were available, as was face painting and cat accessories. The program is divided loosely by "plot" such as Action, Comedy and Drama, with a thoughtful mix of animation and more carefully produced videos, to simple short clips. I was pleasantly surprised to find that filmmaker and master curator William Braden was in attendance, providing a brief history of the festival and taking questions from the audience. The selections for this year's festival were thoroughly enjoyable and it was a wonderful experience to watch cat videos with a community of cat enthusiasts. It was one of the first bitterly cold nights of the season, but people turned out in droves, proudly sporting cat related clothing and ready to laugh. I am very much hoping the festival returns next year, I can't wait to go again! So full disclosure, I am not a medical professional, nor a trained therapist. I’m just a geek with GAD and social anxiety who also likes to go to conventions. These things often do not mix, but you can absolutely learn how to enjoy 4 days of chaotic geekdom and still come out relatively unscathed. 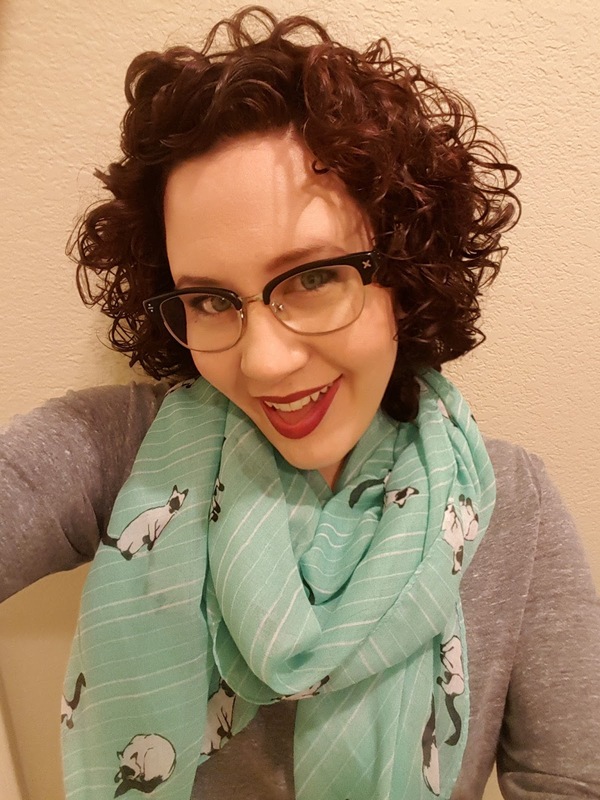 Read on to see some things I’ve learned and tips for making your convention visit a great one. Greetings! In my last post I talked about my general impressions about Who's Yer Con 2016. Today I'll go over some basics you should know and then what I did this year and what I learned from it! The first year (last year) we attended WYC we did not preregister, but this year we opted to register online. I 100% endorse preregistering. We got there about 11:30 on Friday morning and there was a probably 20-30 minute line for registration, however there was no line for those that signed up online. I hate standing in lines if I can avoid it. All we did was walk up, give our name and *BAM* we had our badges and schedule. It's worth noting that while the event is free, you can upgrade to a contributing member for $25 and you get a t-shirt and a tote with a few games in it. A few weeks before the convention, the event catalog is put online. This has everything the convention offers along with times/dates. Depending on the type and popularity of game, there may only be a few times available to play it. I recommend looking through the catalog and preregistering for a slot if there are certain games you have your heart set on playing. Ever since moving to Indy 4 years ago, my hubs Chad and I have found ourselves increasingly immersed in the world of tabletop games. Who's Yer Gamer's is a local group that has been promoting hobby gaming since 2008 and each spring they put on Who's Yer Con, a free, 3 day hobby gaming convention held at the Wyndham West hotel. This was our second year attending, so I thought I would share my experience! In the this post I'll go over my impressions about the convention in general, and in my next post I'll talk about the specifics of what I did this year. Hi there! It's been a while. I've missed posting and I'm going to try and do something about that. There will be some format changes, content changes and the like. I've toyed with removing old posts, but for now I'm leaving things as they are. I wont be posting daily, and I'll be focusing on more local activities/mini-adventures that are going on in my life. Also maybe some thoughts on what I'm reading/watching/listening to. I hope you'll follow along! If you do want the daily aspect of The Daily Claire (IE me talking about geeky stuff and posting cat pictures) follow me on Instagram & Twitter at @thedailyclaire. I am also Player 2 at Boards & Brews where my Hubs and I review board games and local brewed beverages. He's very good at posting every week, so you should check it out if you like table top games, brewed beverages of any kind, or puns, because we've got them all. I know! I'm alive! You may have been wondering what was going on and why The Daily Claire seemed to be much more of a Faily Claire...Living in the sticks has its disadvantages (too many to list here) but the main one has been that since mid October our internet has been completely unreliable. However, it seems to be somewhat functional now (IE, works for more than an hour at a time at random intervals), so this little blog should be back up and running soon, hopefully with a way better layout and a lot more structure. I hope you all have had a wonderful holiday season, I shall be posting some pictures from ours shortly. Also, for up to the minute (sort of...) updates, follow me on Twitter @thedailyclaire. Have a safe and happy New Years! Smiler/Rambler/Geek. City dwelling forest child. Lover of animals, taker of naps. All photos and content are property of The Daily Claire unless otherwise noted.. Simple theme. Theme images by TommyIX. Powered by Blogger.